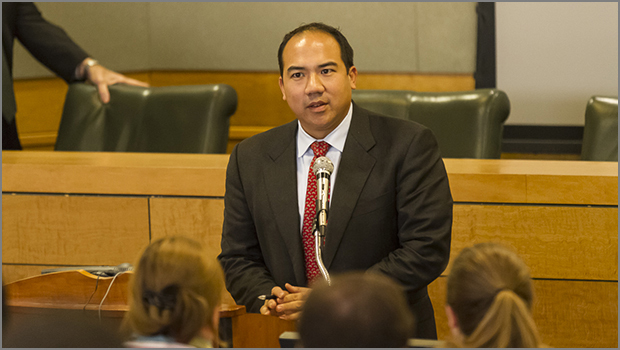 Professor Julian Ku was elected to membership in the American Law Institute in January 2014. The ALI is the leading independent organization in the United States producing scholarly work to clarify, modernize and otherwise improve the law. The Institute — made up of 4,000 lawyers, judges and law professors of the highest qualifications — drafts, discusses, revises and publishes Restatements of the Law, model statutes and principles of law that are enormously influential in the courts and legislatures, as well as in legal scholarship and education.